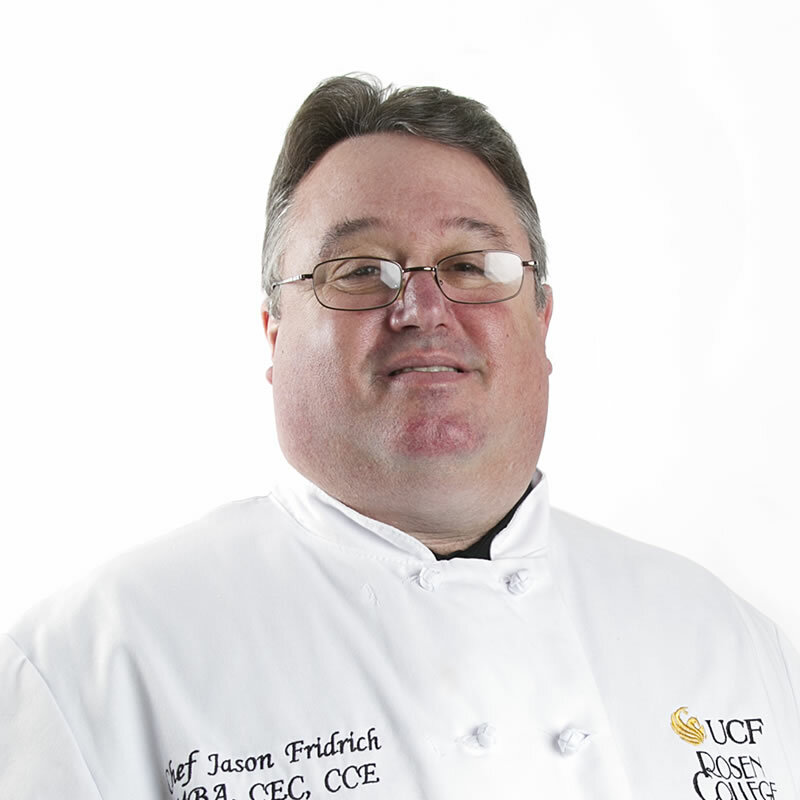 Dr. Jason Fridrich is a hospitality instructor at the Rosen College of Hospitality Management. He is currently teaching techniques in food production. Dr. Fridrich is a 28-year veteran of the food service and hospitality industry. He has been involved with or run restaurants and kitchens in New York City, the Atlantic City New Jersey area, Charleston, South Carolina, Charlotte, North Carolina, Miami Beach, Boca Raton, Fort Lauderdale and Tampa, Florida. Dr. Fridrich was the owner/operator of the Greenfield Country Store specialty food shop in Greenfield, New Jersey. He is also an ACF certified executive chef and certified culinary educator, in addition to a servsafe certified instructor and proctor. Dr. Fridrich earned an Associate of Applied Science degree in Culinary Arts and a Culinary Certificate from the Academy of Culinary Arts, as well as a Bachelor of Science degree from Johnson & Wales University, a Master of Business Administration degree from Walden University, and a Doctorate (Ed.D) in Educational Leadership from Argosy University.